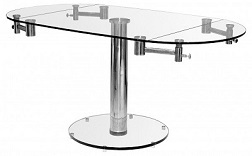 We have a superior range of glass dining tables and dining chairs to compliment any room. 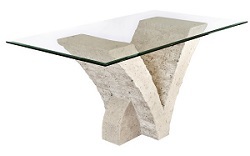 A huge choice of glass dining furniture designs with the options of choosing from round glass dining tables to black glass dining tables and then, we even have macton stone dining tables!! 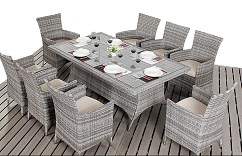 We also now have outside rattan furniture for superior outside dining! 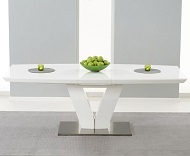 Added to our collection is our new range of High Gloss Dining Tables for a cool contemporary feel! 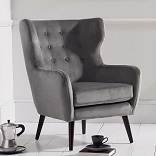 We also have added a range of plush modern accent chairs and modern sofas to compliment your room! Free Delivery on ALL Products to UK Mainland! 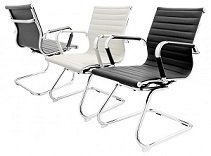 All dining tables have the option of several designs of dining chairs, from chrome dining chairs to high back dining chairs and even carver dining chairs! 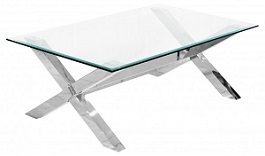 To compliment our range even further, we do glass coffee tables too, So, whatever the size of your room, you will be sure to find all sizes of dining tables available. For the large spacious areas we have extending glass dining tables to accommodate 8 people plus! 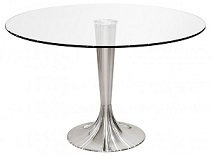 For a smaller space we have smaller glass dining tables to accommodate fewer people. 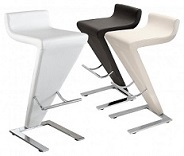 We also stock modern contemporary bar stools for domestic or commercial use. Add to this a contemporary accent chair or sofa to finish off the look! All glass dining furniture is made to a high specification, is extremely sturdy and heavy and is an enhancement to any dining room!